Combining Inline Edit with Create mode for new entries? 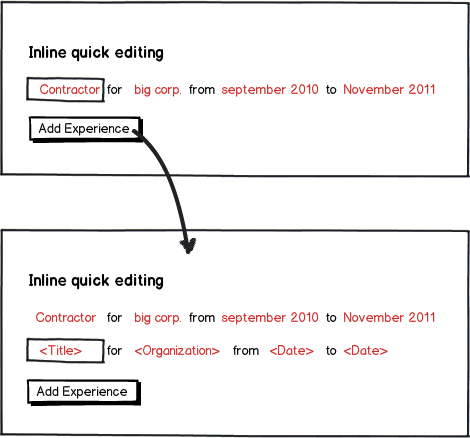 With inline edit I'm trying to provide a quick way to edit entries. However I feel that inline editing to create new entries is not intuitive (and would need to provide defaults) so I created a separate edit mode. Do you think it's a good practice to combine these 2 different data entry modes? 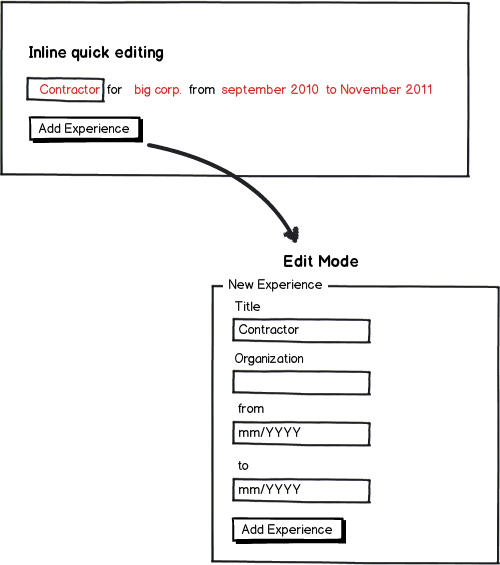 Why not replicate the inline interface for each entry ("experience")? As for the defaults, you could simply use the labels. I usually work in multi-language systems. Is your system multi-language as well? That would not have worked in Turkish as well as English. It is better to edit and view from the same type of structure. I would also guess that the "fill in the blanks" approach would work better. Not the answer you're looking for? Browse other questions tagged forms web-app or ask your own question. Many-to-Many associations - Edit in place or on new screen? 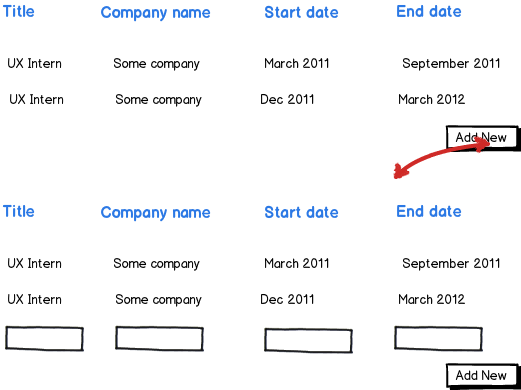 Form input types for fast data-entry?